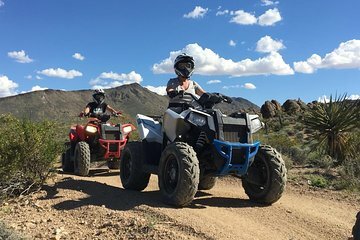 Start your half-day adventure with hotel pickup in the afternoon, and relax aboard air-conditioned transport from Las Vegas to Jean, where your ATV tour begins in the Mohave Desert. Listen to a safety briefing and receive instructions on how to operate your all-terrain vehicle, then slip on a provided helmet, gloves and goggles. 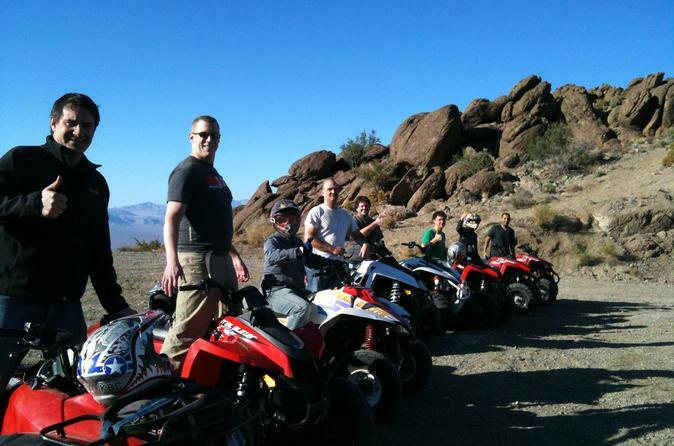 Your thrilling ATV ride takes you off road through Hidden Valley National Monument for two hours. Follow your guide as you bump alongside extinct lava beds, around large boulder formations, across dry lake beds and past the desert wilderness of the McCullough Range to the Primm Valley overlook for sweeping views of the landscape below. The tour ends with a transfer back to your Las Vegas hotel. Please Note: All ATV riders must be at least 16 years old and have photo ID.